If you’re not sure which package would suit your group please feel free to ring us for advice. Average paintball use in a half-day session is 400-500. Please Note: Payment in full on ‘Sniper’ paintball package 14 days in advance of your game date entitles players to 100 FREE additional BONUS BALLS. 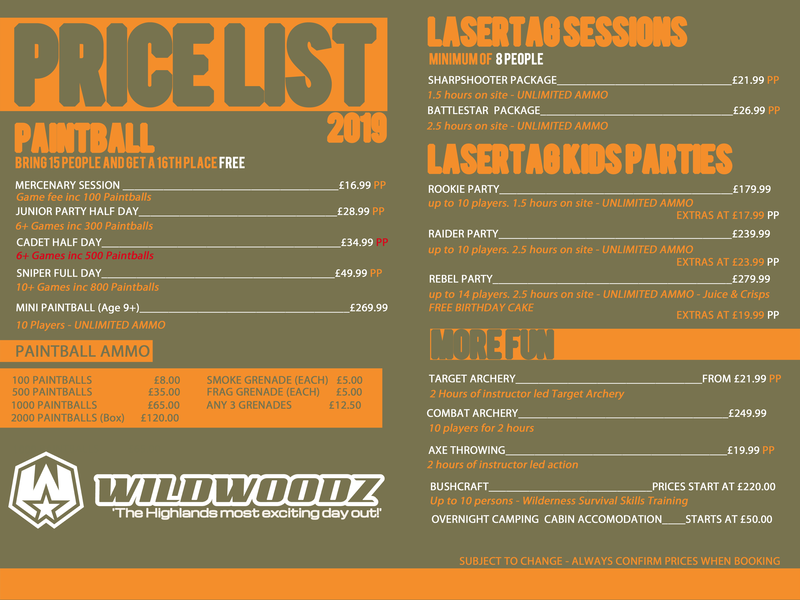 Prices for all activities other than paintball are listed on each page. A copy of this price list is available to download.